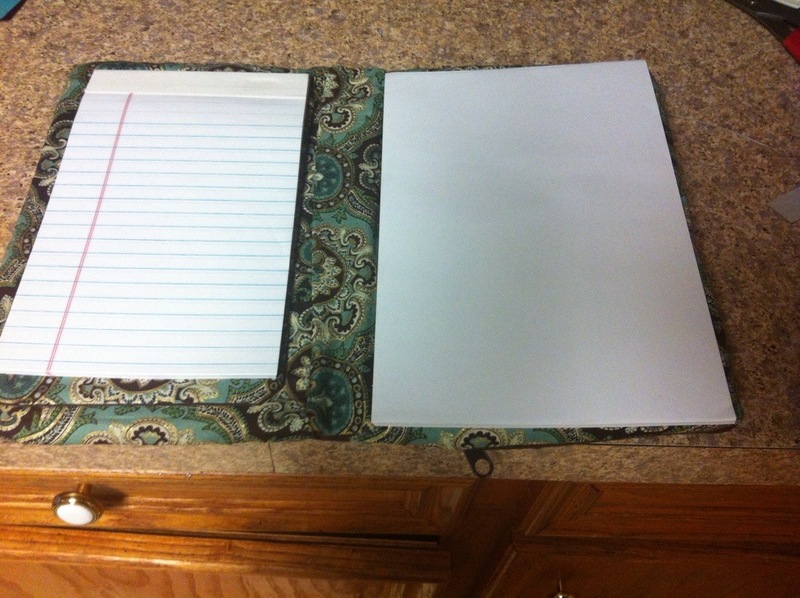 So my daughter, who likes to be original, wanted a unique binder for school. Before I tackled a large project I wanted to start small. I wish I had taken pictures of the before and after of this now. I am impressed with the way it turned out and can’t wait to do another one. 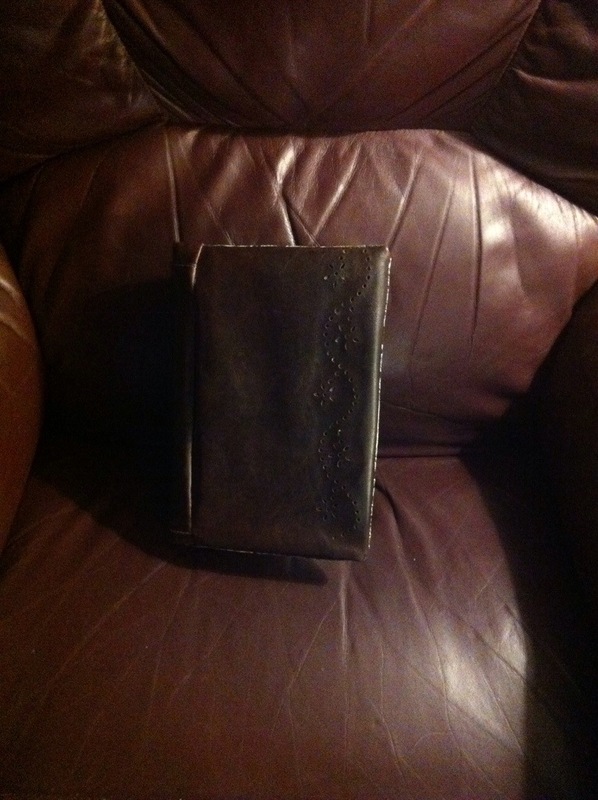 The original leather purse was a thrift store find that I tore apart to make the journal. 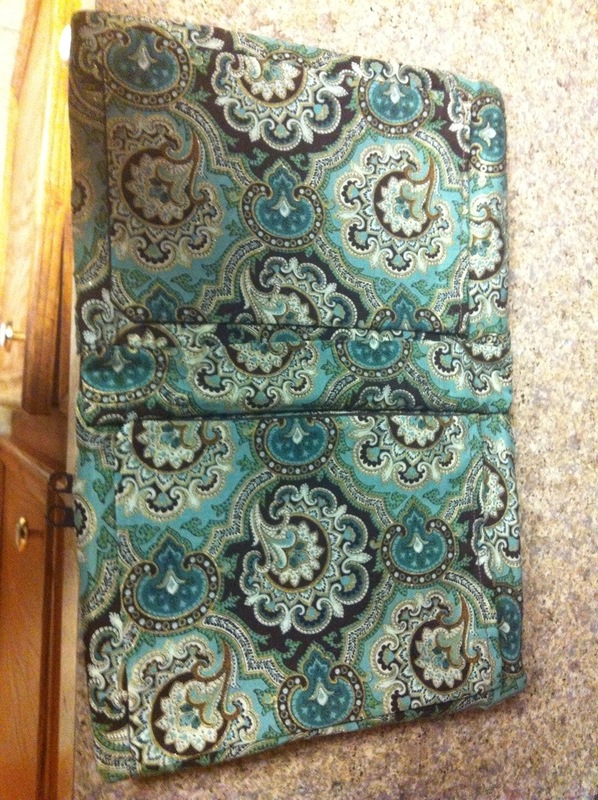 The lining came from Hobby Lobby. 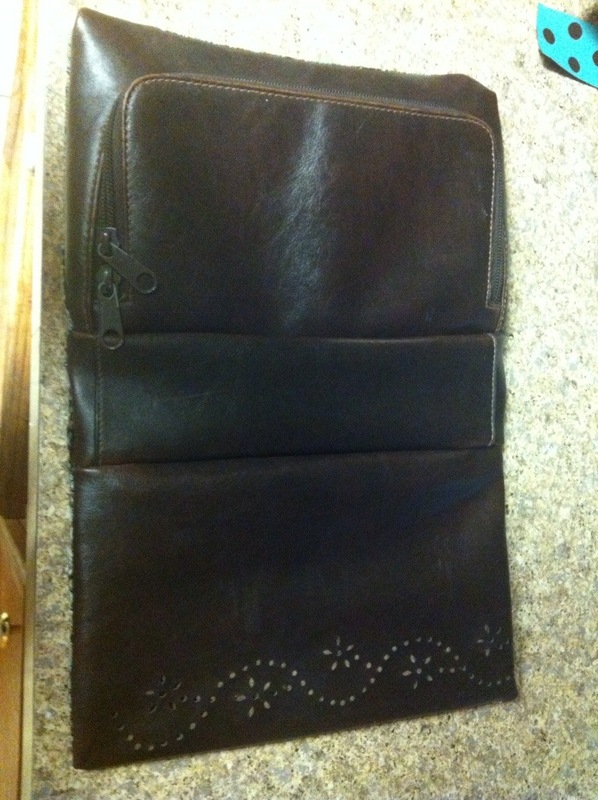 Since this was the first time I have sewn with leather I was rather apprehensive, but it wasn’t as bad as I feared – I just went slow. 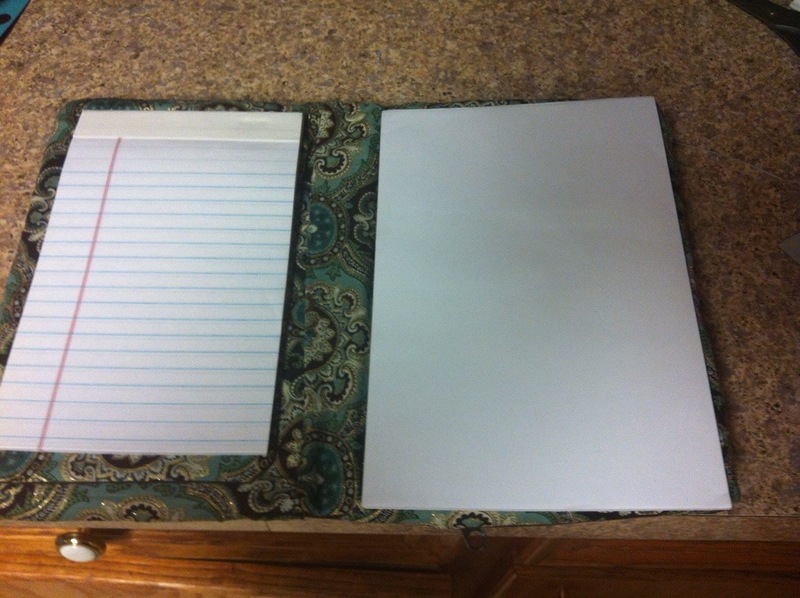 I attached pockets to both sides of the journal so that the paper could be replaced when needed. 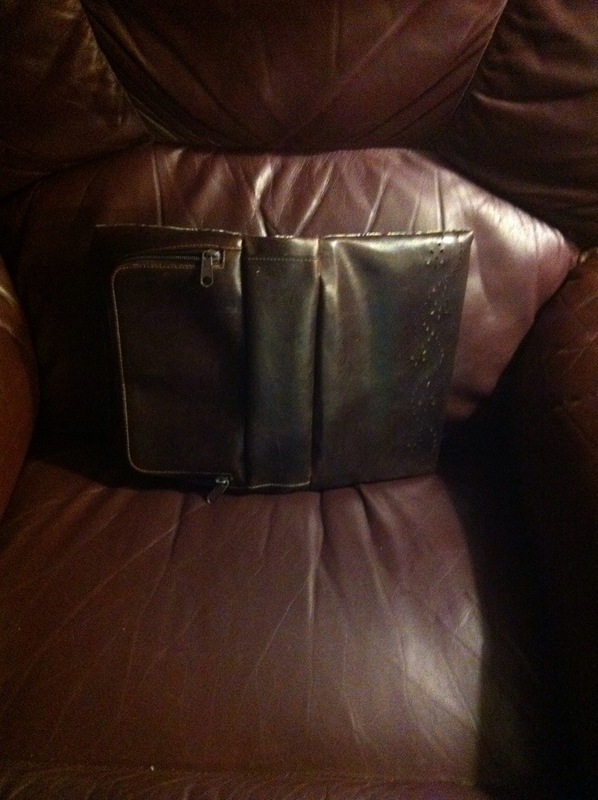 I also attached 2 small leather straps to secure a pen. 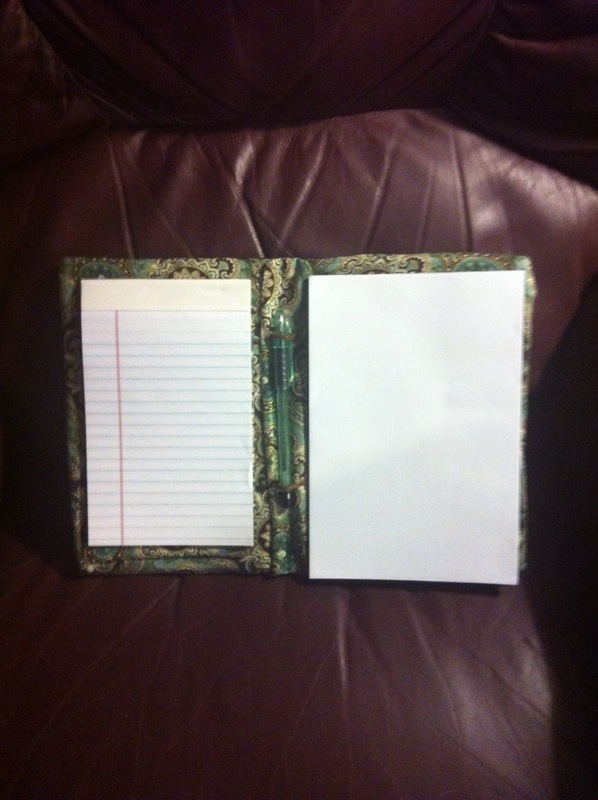 Now to search thru my purses so that I can make another journal.